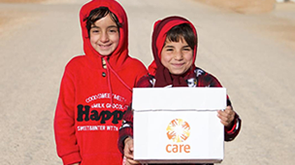 CARE has been working in Croatia since the mid-1990s. The population remains vulnerable to poverty, gender-based violence and discrimination. We support communities in need regardless of their ethnic background, including promoting the rights of the Roma people and other minorities by providing education, training and health care. In all our work, we place a strong focus on supporting local organisations, giving them the training and support they need to carry out their own activities and advocacy, and help them influence decision-makers to become a positive force for change.